How Windows XP Free Antivirus Removes Keyloggers from PC? Malware is of various types. Keylogger is one type of malware. Like most malware, it is often bundled with other usually free software and makes its way to our computers when we download that free software. After installing itself, the keylogger – also known as keylogger trojan since it disguises itself within the legitimate software – starts recording every single keystroke users make on their keyboards, including the sensitive information like banking credentials, crucial passwords, and other such information. Hence it is best to employ Windows XP Free Antivirus to remove the keyloggers from Windows XP OS PC and devices. This can be determined by the features offered by them. Keylogger basically keeps track or monitors all the keys present in your keyboard and stores that information locally in your computer. This is also known as logging in computing terms. Later, hackers gain access to these logs over the internet, unpack these logs to retrieve the keylogged information. That's it! Your crucial information is in the hands of the hacking community! Keyloggers record anything they are programmed to monitor. This means anything typed anywhere using your keyboard – be it on an offline Microsoft Word or on an online website like your bank or social media account. Some keyloggers activate themselves only after a specific action is executed – like, for example, opening your web browser and accessing a specific website. Others start operating once they are installed. When Do Keyloggers Infect Your PC(s)? When your antivirus is outdated or turned off. Even worse, when your PC does not have one installed. 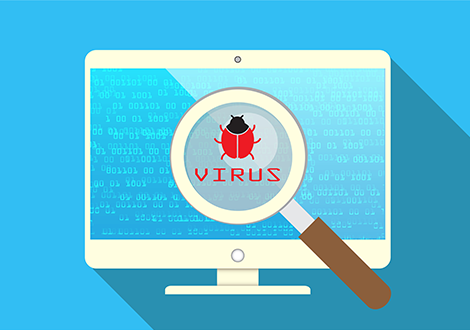 Outdated antivirus is as good as having no antivirus installed as today's sophisticated keylogger programs have the ability to pass right through such outdated security systems and infect your machine in no time. Exercising caution while downloading can prevent keyloggers to a certain extent. But you need antivirus software to resist the dangers posed by accidental or drive-by downloads. Therefore, just like with any other malware, keyloggers to cannot be resisted without the help of a security tool like antivirus. Having an antivirus program installed is the best option. Not just any antivirus program but one which can update on its own regularly. Because antivirus programs offer protection not just against keylogger but the entire gamut of malware. You can use our very own Comodo Free Antivirus which offers solid PC protection. But in case your PC has been already infected with a keylogger and you are looking for ways to remove it, then you need a more advanced security solution like Comodo Internet Security (CIS) which comes equipped with malware removal service. Therefore use our Comodo security products and stay away from keyloggers and other types of malware. If you are using Windows XP OS, which is outdated and dangerous, the chances of your computer getting infected with keyloggers are pretty high. But this can be prevented using Comodo Windows XP Free Antivirus. Comodo Windows XP Free Antivirus which comes equipped with impressive security features offers excellent protection against not just keyloggers but the entire gamut of malware. Security features like Comodo's unique Default Deny Approach, Containment, Host Intrusion Prevention System (HIPS) and Viruscope ensure malware threats and zero-day attacks are kept at bay. All these provisions make Comodo Windows XP Free Antivirus the best freeware antivirus in the cybersecurity industry.